Have you pinned that special date in the calender already? It’s true that every girl wants to dress up like a princess on her wedding day. But, due to the busy lifestyle, some girls feel stressed for looking the best on their special day. So, if you are the one, who is going to get married soon and want to cut down that extra fat then, here’s the bridal diet plan for Indian brides. 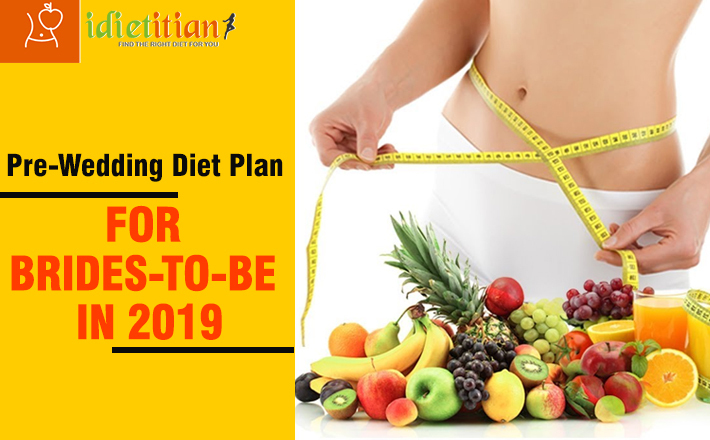 Pre-wedding diet plan is specially made to help you out to shed those extra fats and stay fit during the most significant event of your life. If you intend to slide into your dream dress on your wedding then, give upon those fake fad diets right away. They are of no help! Try and meet the daily caloric requirement by focusing on eating natural food such as fresh fruits, vegetables, low-fat dairy, and unsaturated fats. Here are few tips, have a look! We generally tend to think that dieting means stop eating! But, no! 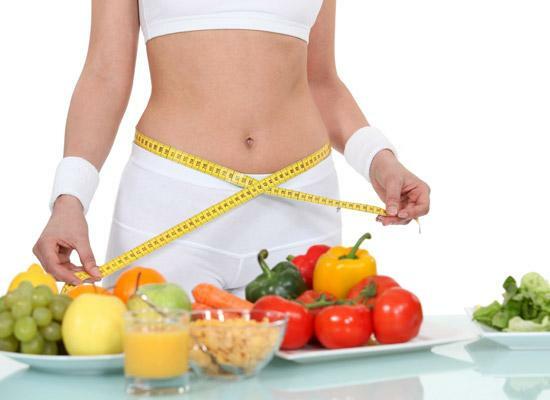 Dieting means fulfilling the daily requirement of nutrition by consuming healthy food. Breakfast, being the first meal of the day, has great significance on our body. During the night, while we are asleep, our body consumes the stored energy called- glycogen. So, morning meal refuels the body. Never skip the breakfast, you will suffer the adverse effects otherwise. Try and ensure you have something light and healthy like porridge, oatmeal, whole grain bread toast, fruits, fresh fruit juice, etc. Cutting down on your carbohydrates and replacing them with protein is the best thing to do. Reason being, our stomach requires more energy to break down protein hence, the metabolism of the body gets increased. Protein suppresses our hunger hormone- ghrelin, which results in feeling full for long time periods. It also helps in healing process of the body and reveals out the lean muscle. According to the general dieting rule, one should eat 1.6g of protein per kg of body weight. Always remember that our body can only absorb 20-30g of protein in one go, so it’s better to distribute the amount of protein in your number of meals per day. Let’s admit that, we all love carbs and we cannot avoid them completely. But it’s better to replace our traditional carbs with complex ones such as sweet potatoes, brown rice and quinoa. These kinds of carbs actually have low “Glycemic Index (GI),” which supports the sugar consumption at a slow rate in your body. And, it is really important to cut down on simple sugar or carbs to be fit for the wedding. Needless to mention that excessive alcohol consumption is harmful to our body. Smoking can make the condition even worse by aggravating the situation. It is always advised to steer clear from alcohol because it can hinder all your weight loss process. Alcohol is extremely dense in energy and is the main cause of those midnight food cravings. Alcohol intake leads to adding up more fats. So, just limit it down, if can’t, skip it. These are four tips for bridal diet plan for Indian brides which will help them in loosing fat and obtain a healthy body before the wedding day. Want to get rid of that extra fat before your wedding day? Yes? Then, try out idietitianpro’s bridal diet plan India. For more such relevant health related information, visit the website. Subscribe for daily alerts!